We’re especially careful during de-husking, drying and processing, using lower temperatures to maintain moisture and texture, ensuring a fresher nut with optimum shelf life. The faster we can de-husk and sort, the less chance of mould and contamination. With a de-husking capacity of over 120 tons per day nuts can be in our driers much faster following harvesting. All NIS and kernel is processed to customers’ stringent specifications through our GFI FSSC22000 HACCP and Kosher certified factory, cracked, processed and shipped to customers around the world including many multi-national food companies. We don’t throw the shells away: we recycle, using them as fuel for our driers. And husks are composted to help grow the next generation of trees. 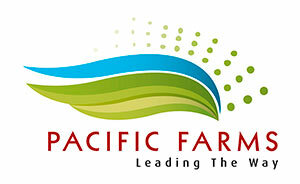 All to produce Pacific Farms delicious Macadamia nuts with a subtle, buttery flavour and texture with a gentle crumbly, nutty bite.